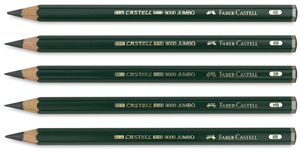 The Castell 9000 Jumbo features a voluminous graphite tip that offers a wide variety of line widths, while five different hardness grades provide many tones of gray. The leads are encased in a comfortable, oversized barrel that is finished with an environmentally friendly, waterbased varnish. 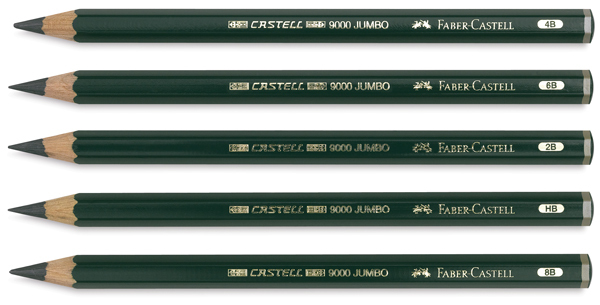 ® Faber-Castell is a registered trademark.® Castell 9000 is a registered trademark.